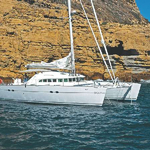 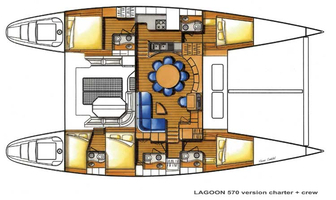 Model Lagoon 570 has been produced by company Jeanneau. 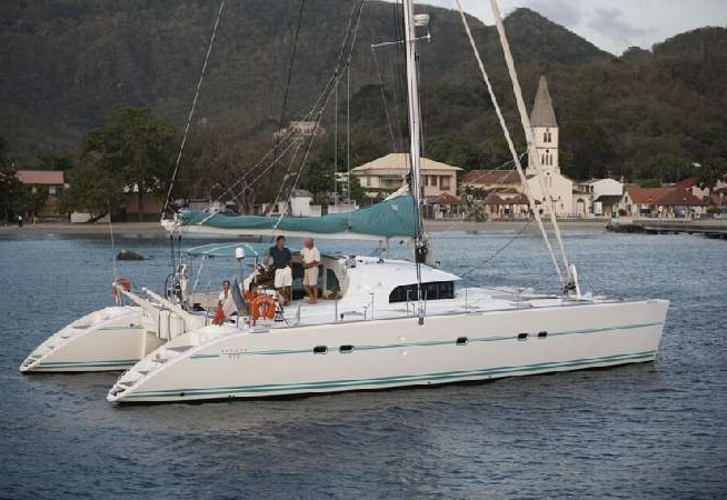 Lenght overall of the boat is 17.06 m. Sailing Vessel is 9.15 m wide. 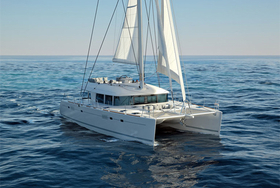 Height of vessel's underwater part is 1.40 m. Sailing boat is registered up to 12 pax. 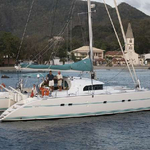 We recommend sailing boat Lagoon 570 for summer voyage. 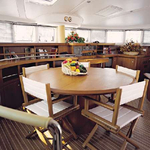 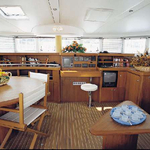 There are 4 cabins situated under boat's deck. 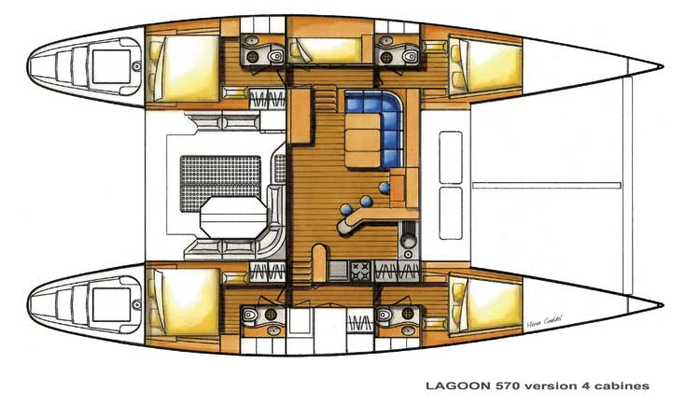 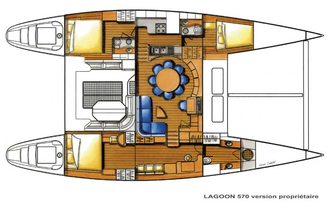 Lagoon 570 is equipped with 4 heads with shower. 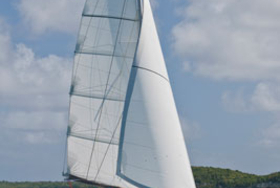 Both mainsail and genua have together 170 m2 of sail area. 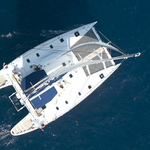 With 750-800 l. in tank with fuel you can sail really far, and still be independent because of 800-1000 in water tank. 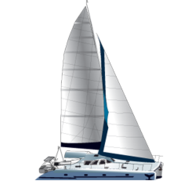 This sailing vessel is driven by following motors : Volvo 2x55 Hp. 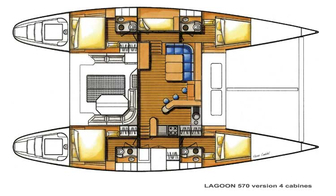 If you want to get best offers for renting Lagoon 570 , just mark region and date above and hit Search button!.